William Smallwood was a Major General in the Continental Army. Smallwood participated in almost all of the important campaigns of the Revolutionary War and earned the trust of both General Washington and the Continental Congress. William Smallwood was a veteran of the French and Indian was who served in the Maryland Provincial Assembly when the American Revolutionary War began. Smallwood signed up for the Continental Army and was commissioned as a Colonel in the 1st Maryland Regiment. He served bravely in the New York, New Jersey and Philadelphia Campaigns, twice surviving wounds he received in the field. Distinguishing himself in battle, William rose to the rank of Brigadier General. His ‘Maryland Brigade,’ as they were known, had their most notable service during the Battle of Long Island. At this event, Smallwood’s men held off the Redcoats by themselves to cover the retreat of the entire Continental Army. Smallwood was sent to the Southern Department where he served under Horatio Gates. William participated in the Battle of Camden. This was one of the most embarrassing defeats of the Revolutionary War. Smallwood, however, stood his ground and was one bright spot in an otherwise dark moment of American history. For his bravery, William was promoted to Major General, the highest achievable rank in the Continental Army. Emboldened by his promotion, Smallwood did something that is unusual to this day: he went over his boss’ head. Writing to members of the Continental Congress, William discussed the shortcomings of Horatio Gates. He questioned Gates’ war strategy as well as his character. Since this was not the first time Gates’ ability to lead had been questioned, plus his responsibility for the worst loss of the war, he was demoted. To the satisfaction of many (including Smallwood), Nathanael Greene was placed in charge of the Southern Department. Greene's replacement of Gates was one of the most important events in the American Revolution, as Greene’s leadership would help win the war in the South and lead to Victory at Yorktown. After the war, Smallwood was elected to the Continental Congress. He did not serve, however, as he was also elected as the Fourth Governor of Maryland. It was during Smallwood’s term as Governor that Maryland Participated in the Mount Vernon Conference, Annapolis Convention and Constitutional Convention. He is also the one who called together the Maryland Ratification Convention which approved the US Constitution. 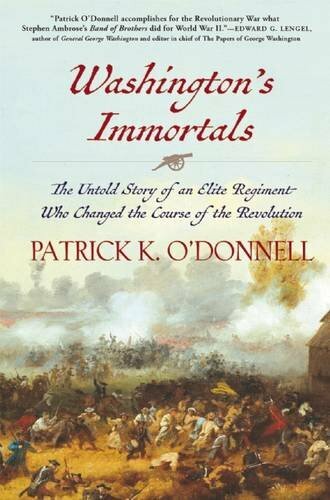 While William Smallwood is on the long list of Founders without a full scale biography, he is mentioned significantly in 'Washington's Immortals.' If you are a fan of military history, you will really enjoy this book. Get it at the library or through our Amazon affiliate link below. And of course, subscribe to our email list for a new Founder every day!